For the last several months, Apple has been exploring locations for a new campus focusing on technical support, and according to new reports, sites in North Carolina and Northern Virginia are under consideration. The Washington Post says Apple has explored opening a campus for 20,000 employees in Northern Virginia, an area Amazon is also considering for its new campus. Apple told economic development officials in Northern Virginia that it is seeking four million square feet of space to accommodate 20,000 jobs, and officials proposed several potential sites. The sites proposed by Northam's staff for Apple include office buildings and development sites in Crystal City, privately owned Loudoun County land near the Center for Innovative Technology and the Scotts Run development in Tysons. Separately, the Triangle Business Journal says that Apple is considering establishing its new campus in Research Triangle Park in North Carolina. Research Triangle Park, a 22 million square foot research park, has become an attractive site for tech companies and is known as North Carolina's technology hub due to its proximity to NC State, the University of North Carolina, and Duke University. Apple CEO Tim Cook reportedly met with North Carolina governor Roy Cooper and commerce secretary Tony Copeland while Cook was in town over the weekend to give the commencement speech at Duke University. Apple in January said that it would invest $350 billion in the U.S. economy and create 20,000 jobs over the next five years, partially through the launch of a fourth major campus. At the time, Apple said that the campus would not be built in California or Texas, which is where its current campuses are located. The company declined to provide additional details on the campus' location, and has since been exploring its options and negotiating with various states for tax cuts and other benefits. 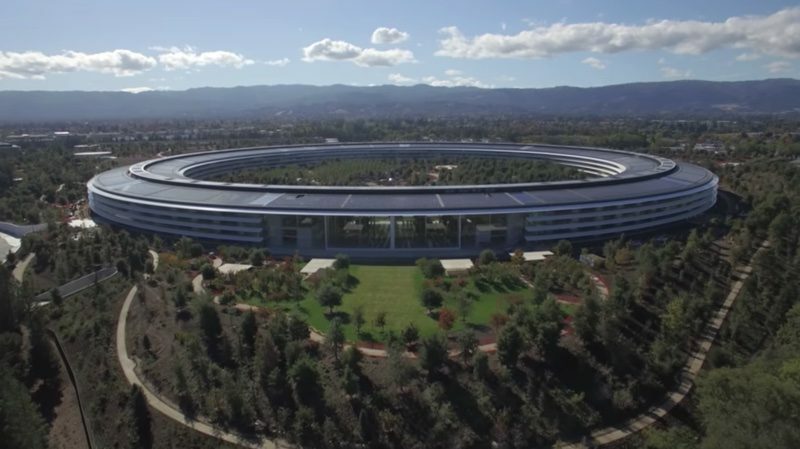 Apple's upcoming campus will not be like its major corporate campuses in Northern California, One Infinite Loop and Apple Park, as it is expected to be focused on housing customer service and technical support employees. Apple CEO Tim Cook in March said that Apple is "not doing the beauty contest thing" for its new campus, taking a dig at Amazon's decision to announce 20 finalist cities as the potential locations for its own new campus. "That's not Apple," he said. "From our point of view, we didn't want to create this contest, because I think what comes out of that is you wind up putting people through a ton of work to select one, so that is a case where you have a winner and a lot of losers. I don't like that," Cook added at the time. Update: North Carolina news site WRAL says that its sources believe Apple is close to announcing a deal that could bring up to 10,000 new jobs to North Carolina. Many of those jobs are "high-tech research and development jobs." Apple is said to be planning to lease office space in Cary to start with, hiring approximately 1,000 employees before building and transitioning to a 300 acre campus in the southern part of Research Triangle Park. Apple may also be planning to invest in additional infrastructure, opening another data center in the state. Thank God. Apple is been in that donut shaped building forever. I would have thought North Carolina would be out of the running due to it's recent history of being legislatively hostile to civil rights. Really what they are looking for is landing space. A few times a month they plan to fly the office from CA to NC/VA and land. Do business, have meetings, shop, whatever then fly back home. Its the main reason the building has the shape it does. I grew up in the DC area(MD) and the traffic in VA has always been terrible. Even with one of those companies going in, the traffic and housing costs will be that much worse. You mean NOVA. It's a **** show. "Oooo nice shade on ol' Bezos." "Eh, kind of ironic statement as you read the industry profit report from IDC for the 10th time"
"Shut the eff up Tim." And getting worse every day. Tech companies are getting just a bit pretentious for my taste. “We don’t work in a series of office buildings, we work on a campus”. I think the difference is that Tech companies build these out with the intention of people never having to go home. They have food options, doctors office, gyms, sleeping areas, hair salons, dog daycare, dry cleaning and everything else you'd ever need. Just work all day 24/7! [doublepost=1526494417][/doublepost]I am surprised they aren't just building out their Austin location more, its grown a lot over the past few years.